On February 15, 2018 SQL Server Management Studio 17.5 was released. New feature called “Data Discovery & Classification” was launched with this release. You can read about this feature in the following posts. I will answer the question in this blog post. For demo purpose I will be using WideWorldImporters database which you can download and restore from here. In table [Sales]. [Orders] column ‘PickingCompletedWhen’ does allow NULL values. How many rows are NULL and how many are NOT NULL? 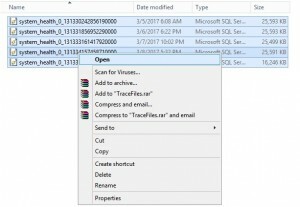 The system_health session is an Extended Events session that is included by default with SQL Server. This session starts automatically when the SQL Server Database Engine starts, and runs without any noticeable performance effects. The session collects system data that you can use to help troubleshoot performance issues in the Database Engine. Therefore, we recommend that you do not stop or delete the session. 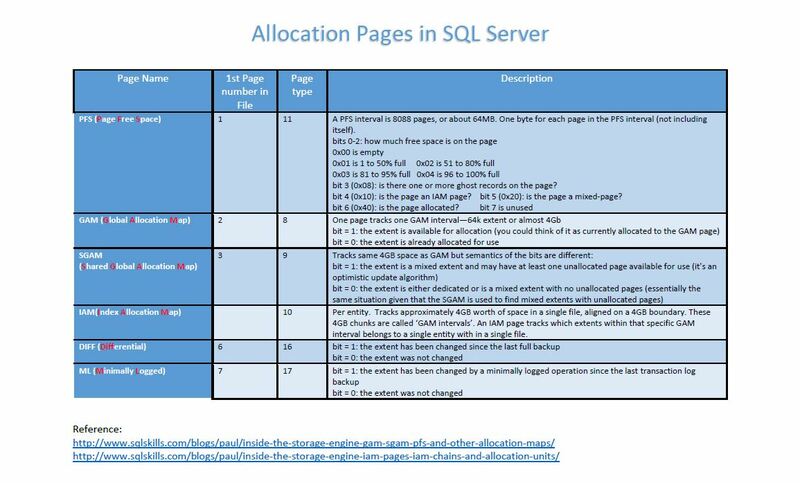 In order to understand how page/extent allocation works with in SQL Server for entities (objects) I was reading Paul Randal’s (B|T) blog. While reading different articles I thought of summarizing few critical information into a table. Which will help me consuming the information better and review easily when I need to. With Paul’s written consent I am sharing this and hope will help others.